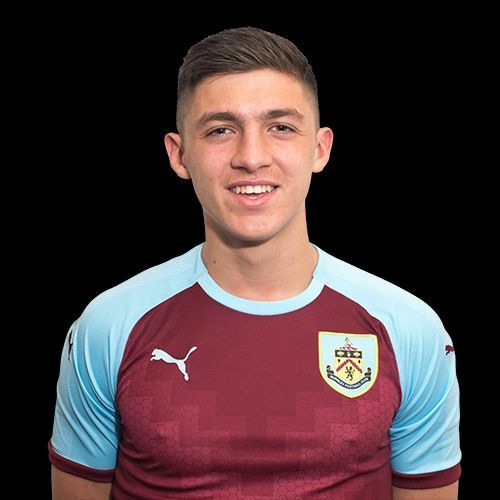 Young central defender Bobby Thomas was the only one of the second year scholars to be offered a professional deal by the Clarets when the decisions were made at the beginning of March and five weeks later he confirmed yesterday that he’s signed the two year deal that will keep him at Burnley until the end of the 2020/21 season. His second year as a scholar saw him become a regular in the under-18 team and he took over the captaincy when Michael Fowler moved to Padiham on loan. However, Thomas himself made a loan move when he and Kian Yari went to Kendal in November. He kicked off his youth loan with a goal too, in a 4-1 away win Glossop North End, Kendal’s first win since August. The calendar year didn’t end in the best way for him though. Back at Burnley, and at Turf Moor, he was the first of two Burnley players to be sent off as we went out of the FA Youth Cup on penalties against Oxford. By mid-January, things had taken an upward turn for him when he was promoted to the under-23 side at Barnsley, a game we lost 1-0. Coach Steve Stone said of him after that game: “He looked strong and commanded whatever he did. I had to keep on him to get high up the pitch, but he seems like he takes information on board. All has gone well. He’s been a permanent fixture in the under-23s since and turned in some excellent performances. He’s even scored four goals for the team, two in the league and one each in the two cups. Up the Clarets wish him the very best as he starts his professional career.